What makes a design look stunning? Some of you may say simplicity, or maybe alignment or maybe white space. And there may be people around here who might even rule out the concept altogether. If you ask me I will say it is typography…well don’t be shocked. So fonts, what they hold in them you’ll ask? Fonts are a compelling element of any design, it can change the look of any site, and it makes your graphic design look stylish and innovative. Using premium and classy fonts can have an enormous impact on your audience. However, you should know that web fonts are capable of even misguiding your visualization many times. It is possible that they come out very differently on different browsers. Since we are here to be your helping hand in this article, we will recommend you a series of fonts which are technically and visually reader friendly and are compatible with various browsers and OS. You can describe Bank Typeface with only 1 word and that word is dope. Its an all-caps font developed for modern applications, its style is unique and leaves you breathless. It has 2 styles, lined and sectioned one which have been designed to layer on top of each other to create an alternate magnificent third style. Everything mixed together looks absolutely amazing and futuristic. Its perfect for branding projects and website redesigns, Bank is here to make an impact and leave an impression on the viewer. The styled edit is a fabulous font. This perfect chic looking font is suitable for all kinds of uses, be it social media, blogging, wedding invitations etc. The letters perfectly match each other and crossover in magnificent harmony, creating unique combinations you have only dreamed about. 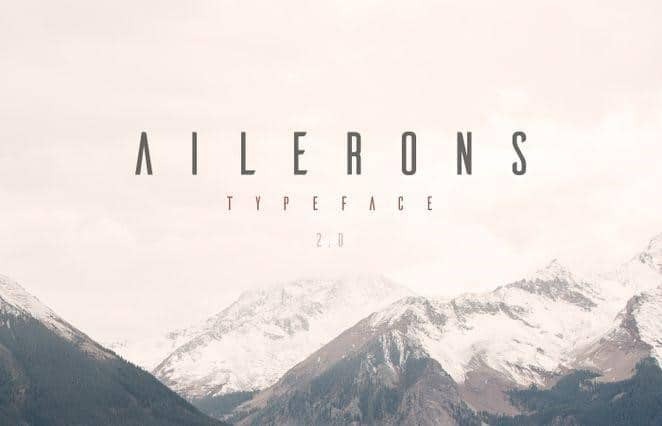 Imagine all the things you could do with this font and how it could enhance your creativity. Try it out today! Nickson Font Family is wicked. 15 unique fonts that stand out but still fit together perfectly when put to use. Its perfect for all kinds of creative uses, such as logos, UI designs, T-shirts, posters, affiches and magazine prints. 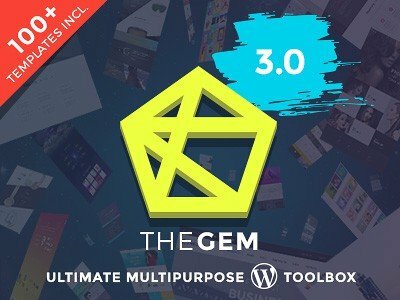 The offers is absolutely amazing as you also get 7 display fonts, one script font, badges, labels, catchwords and over 250 illustrations. Among them is a set of wild animal illustrations, mythological illustrations, animal head illustrations, mysticality illustrations and much more. Try Nickson Font Family now! From all of these fonts, you will notice that the modern fonts are mesmerizing sans serif typefaces; this means, there is no curls or projecting lines at the ends of letters. 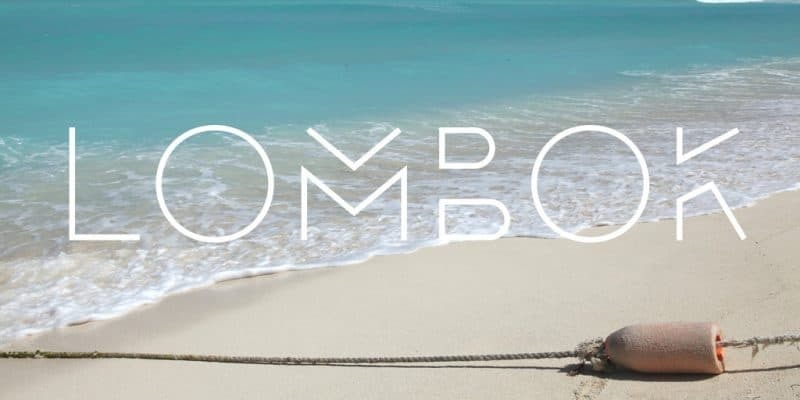 Lombok is made by Alexandre Pietre and looks stunning due to the geometry, angles , division forms and perfectly used double lines. 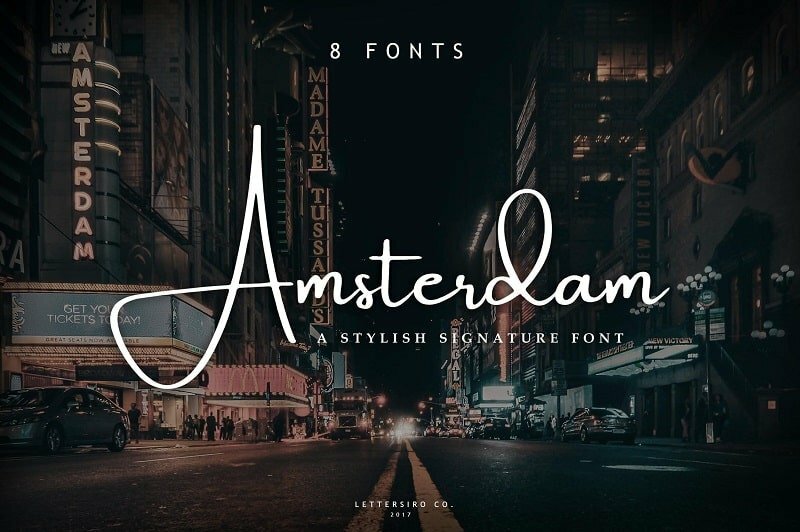 Amsterdam font is simple but intriguing. It builds curiosity in the viewer and lures him by capturing his full attention. It is perfect for business cards, logos, and other branding purposes. It’s elegant and stylish while being perfectly readable. Therefore also suitable for photography watermarks, signatures, quotes, album covers, and many more creative usages. Don’t miss out and start using it today! 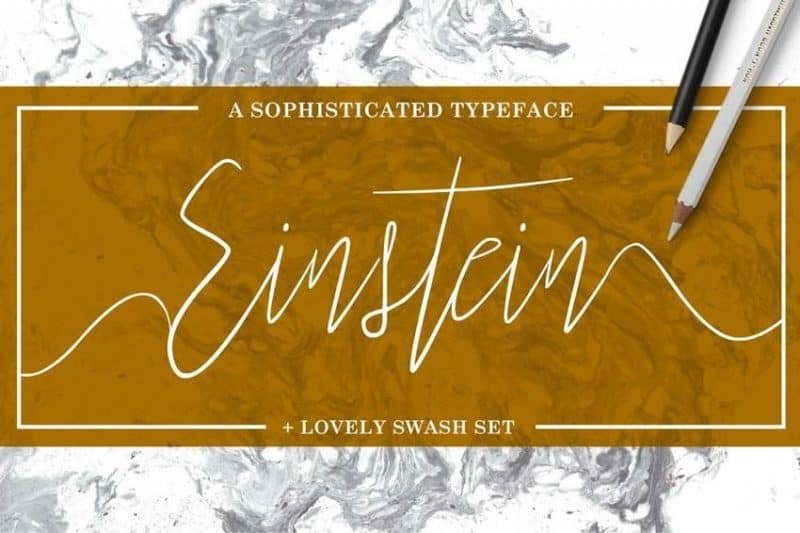 If you want to show some sophistication, you can use this genius Einstein font. Classic handwriting inspired this font; it features sleek letters along with a bouncy baseline. It is visually breathtaking, and you can enjoy it with a bonus of ornaments. This font is capable of generating a delightful experience. 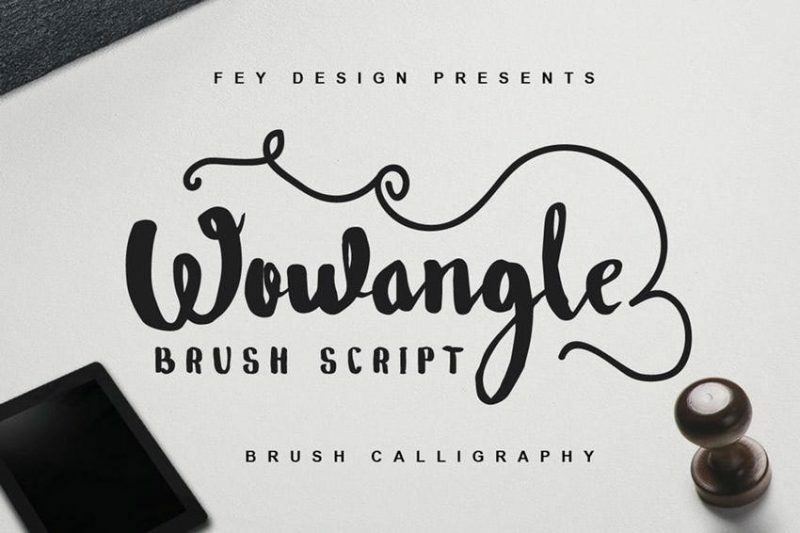 This brilliant font uses cheerful script design; it consists of dynamic letters and swashes. You can customize it and use it for making your brand look gorgeous. You should not miss out on this! Chin Up Buttercup is the cutest modern font ever. Playful in its design with amazing complimentary illustrations. Create gorgeous typographic designs in a second. 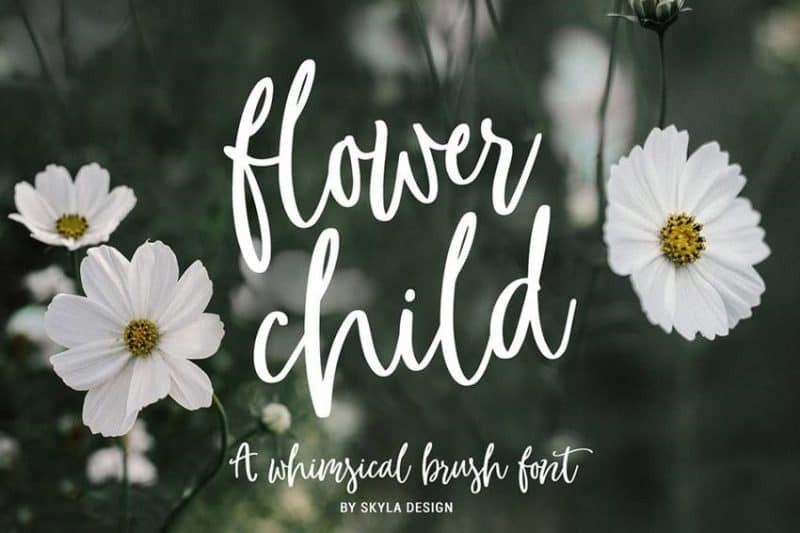 This font is magnificent for do it yourself projects, it makes amazing greeting cards, labels, inspiring quotes, picturesque posters, you can decorate your wall with it, design your branding, enhance your packaging, websites and make your photos stand out, what are you waiting for. It consists of the Whimsical Script and the stunning ‘Cutecaps’ Sans-serif font. The qualification of a great font is that it can communicate emotions and this font passes the test with flying colors. This font indeed gives a sense of sweet, flirty, carefree vibe; this will be one of the fonts which will catch anyone’s eye instantly. You can use it on your posters, videos, personal websites, or even on apps. 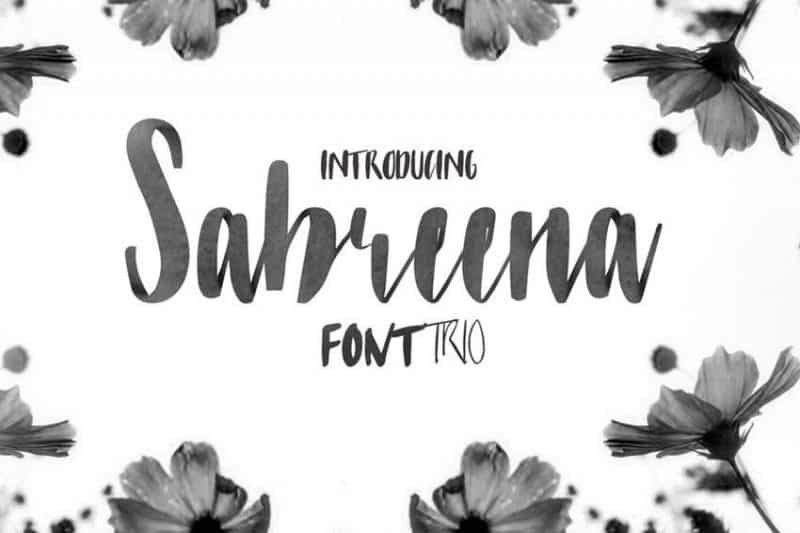 Sabreena Font is kind of font which has both masculine and feminine elements and its crazy! It is indeed a perfect combination of these two features. The letters are bold and thick with slightly lovely brush script and are compatible with many graphic designs. Now let’s be honest, don’t you just love the handwriting which looks like signatures? Isn’t it beautiful? If you are not from the exceptional cases, then Singenton font is love! This font is made up of an elegant script design, and it has fluid lines with posh letters. It is one of those fonts which give a fantastic brand image. 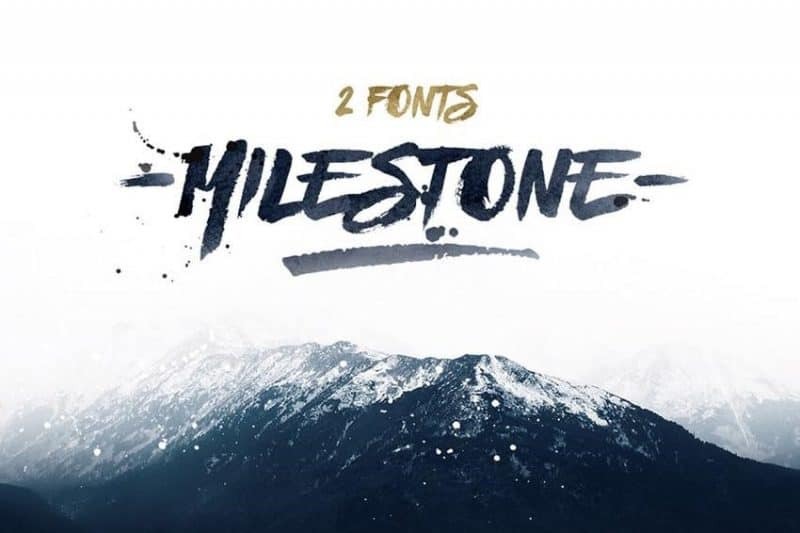 You can achieve your next milestone with this classic font. It is inspired by active things done outdoors, and it features handmade brush strokes for giving an authentic outdoor sense. You can use it to make your brand, or any of your merchandise looks epic. It surely does compliment many brands. 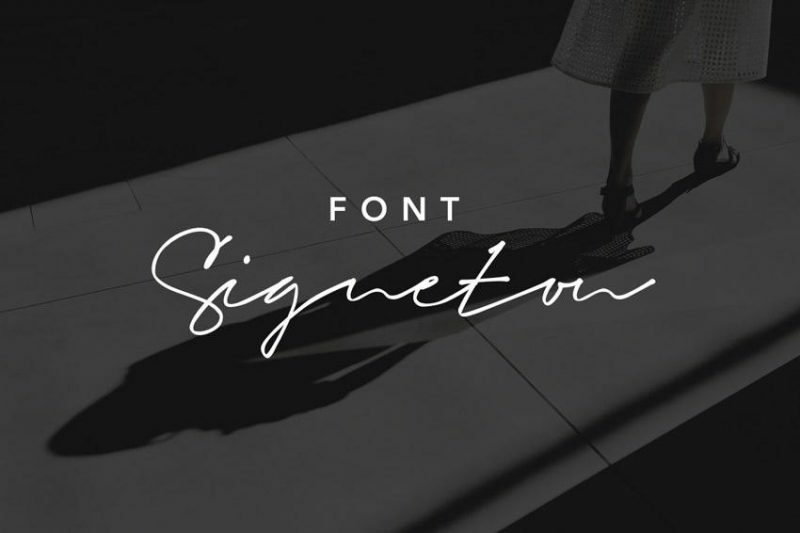 If you want to design a signature for your stationery and other stuff, you can do so with this great official signature font. The font is appreciated incredibly for business materials or wedding invitations, and it works great with many designs as well. So, download it today and have access to the full set of epic letters and more. 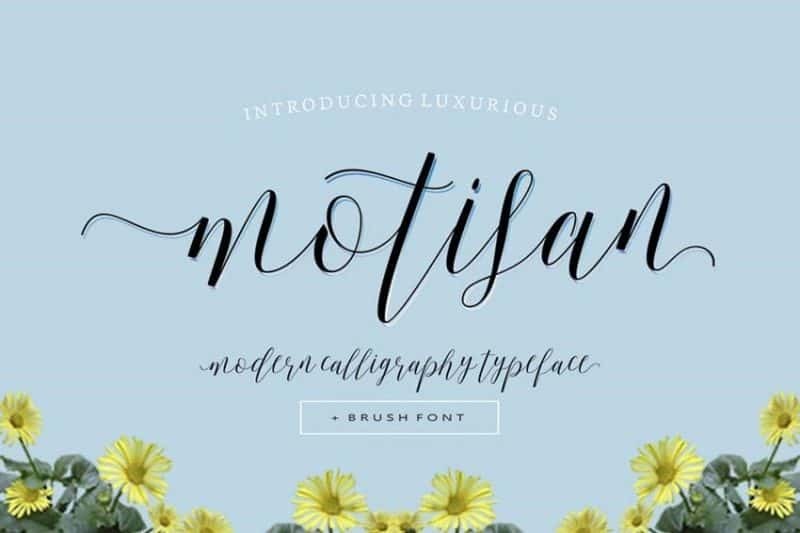 It gives a sassy handwritten feeling without any hassle; if you are a lover of such fonts, then it is a gift for you. 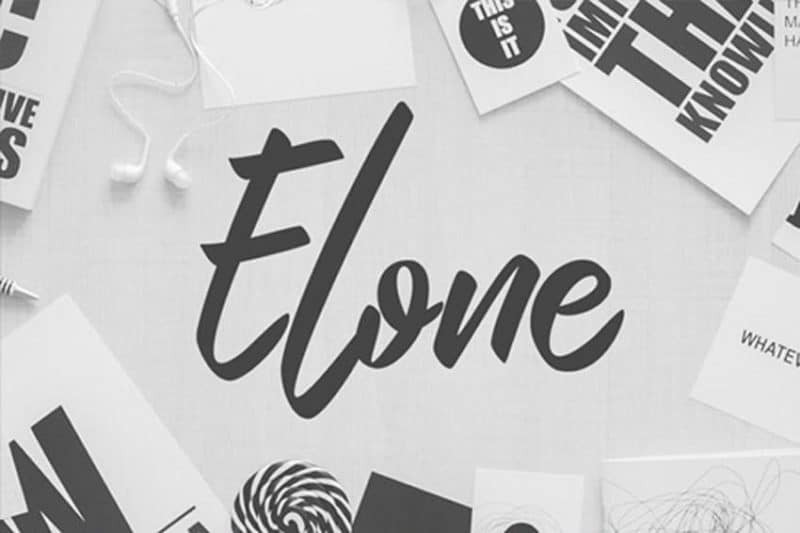 For your information, the Elone font is hand crafted, and this font features a unique modern design which will evaluate your work. You can use it in the headline pop or maybe in official logos. Give the right tone to your favorite font. 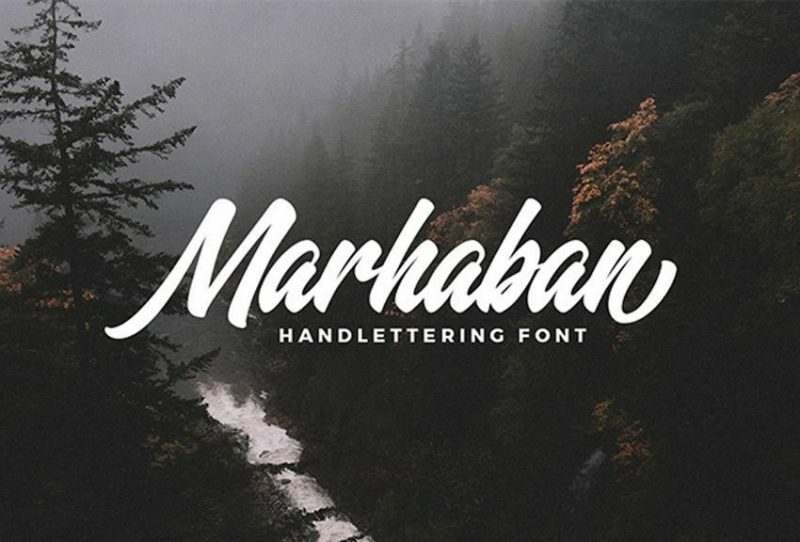 The Marhaban font is a perfect example that consists of a rhythmic baseline with the script and bold letters. It’s tilted with the curvy and smooth letter and is compatible for use in personal or commercial purposes. If you want to try a new style, this is it. 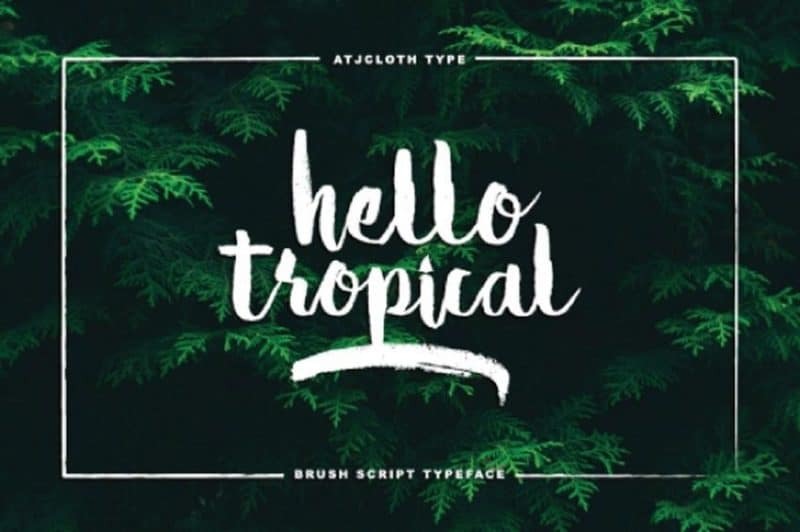 If you want to create fun and tropical vibe and give your audience a pleasure to feel the forest you are welcome to use Hello Tropical font. It consists of a fresh and modern script font with intricate details which fits perfectly on many merchandises. You can write an inspiring message, meme or your favorite quotes. It’s a perfect summer font! 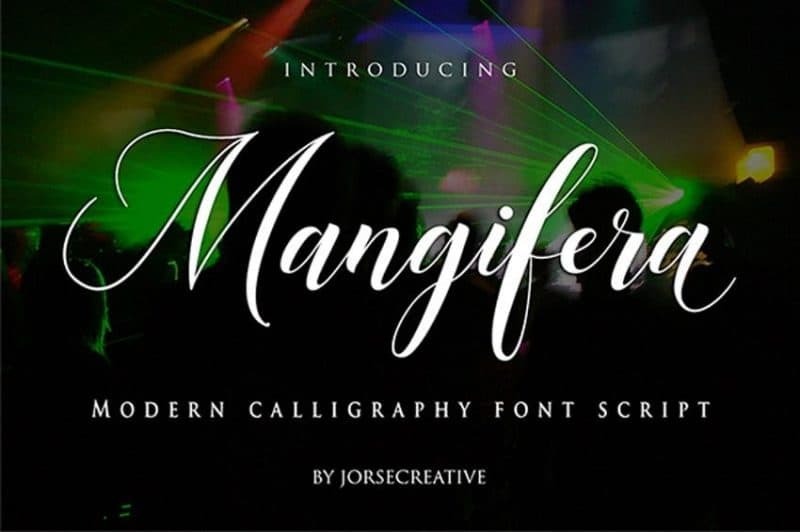 It wouldn’t be wrong to say that Mangifera font script can make any graphic design look magnificent. 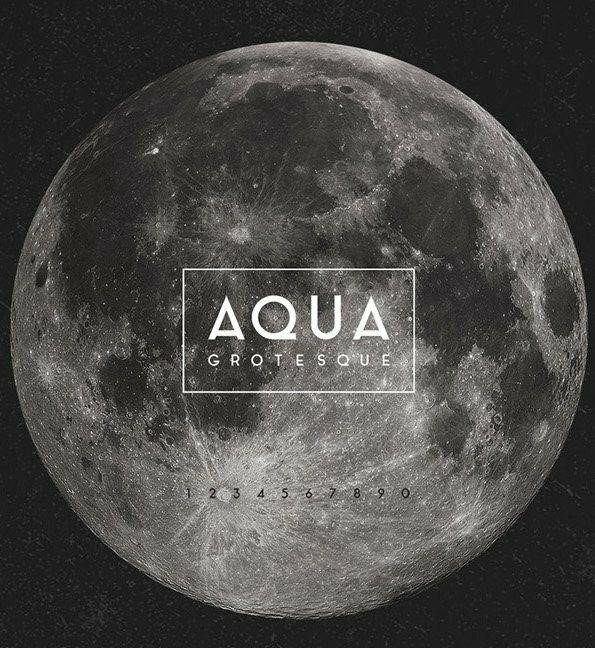 This font features many different baselines with smooth and clean lines. 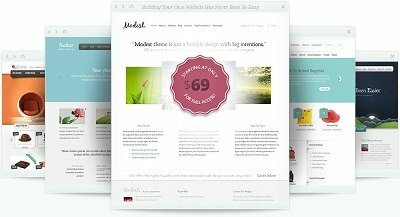 It can be used for a variety of design elements like brochures, posters, or wedding invitations. Do you run a restaurant? Do you want to please your customers? Or do you want to attract new customers to your food chain? 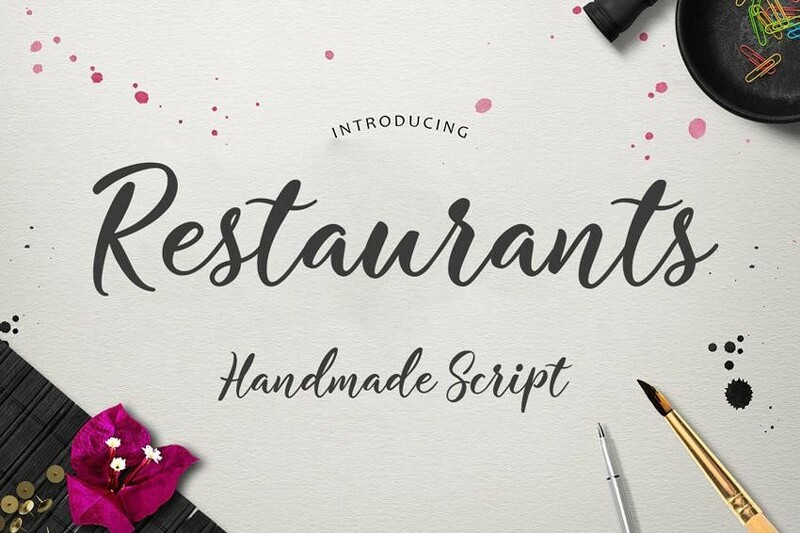 Restaurant Script will let your customers feel welcomed in your restaurant. It is designed elegantly and was crafted by hand. This typeface creates a positive impact with its friendly and classy script. 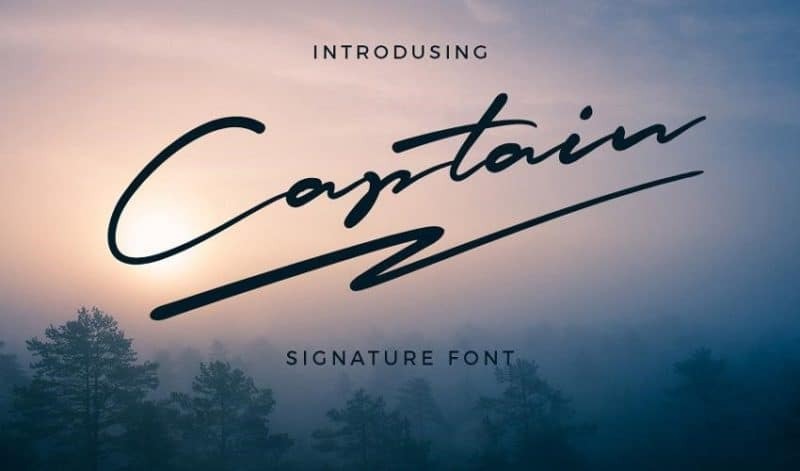 Add a bit of wow factor in your graphic design with this font. This brilliant typeface consists of a modern calligraphy and curvy edges with swashes. It is indeed, a fabulous font. It is a typeface created by Adilson Gonzales de Oliveria Junior and the airplane models from 1940s inspired it. If you notice you will find that the ends of each letter is provided with an angle and are slightly curved for giving delicate details. 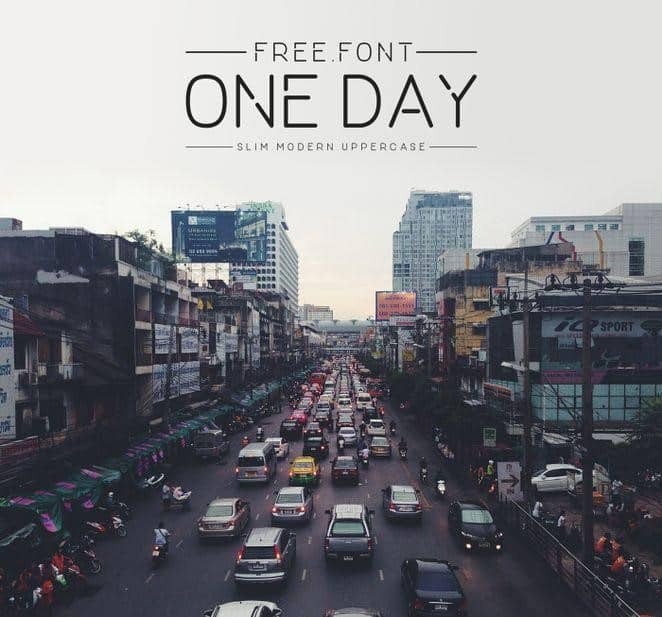 One Day is an uppercase and slimline font that you would surely love to use. Nawras Moneer created this. It is round, smooth with broken lines and is a perfect font for any headline. Now let’s just take a minute to praise Laura Pol, the designer of Aqua font. It is made up of lines that contrast with rounded ends. It has a substantial angle which is dominating its uppercase letter while smooth round ends rule its lowercase. 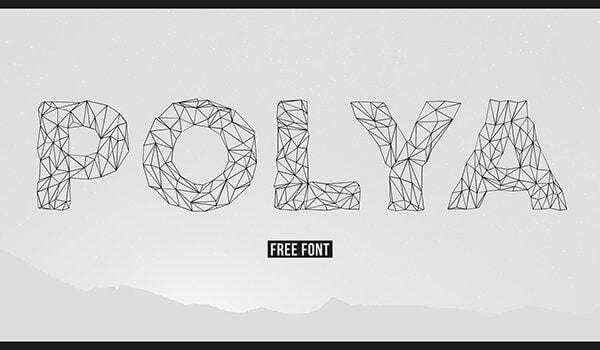 Adrien Coquet designed Polya, and it has a 3D looking fresh and low-poly (a polygon mesh) typeface which looks tech-savvy. It is a bold and joyful looking, lightweight font. 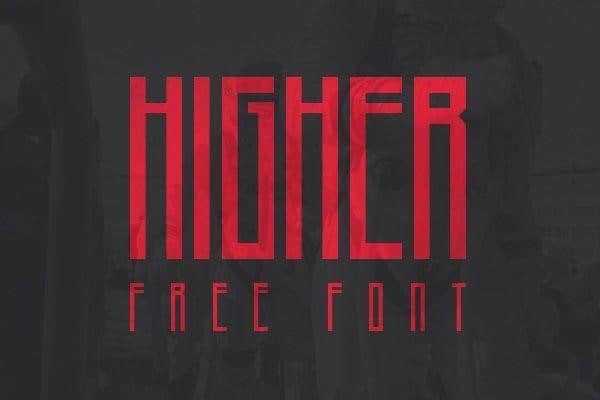 If you are looking for a unique light and elegant font look no further! This font is a combination of corner and rounded details. You can see visible junctions between the parts of the elements. As its name suggests, this font gives you a sense of height. It can make your project look robust and bold and confident. It is designed by Marisa Passos for a student project and is available for free public use since then. It is ideal for titles since it is elongated with a perfectly balanced alignment of letters. 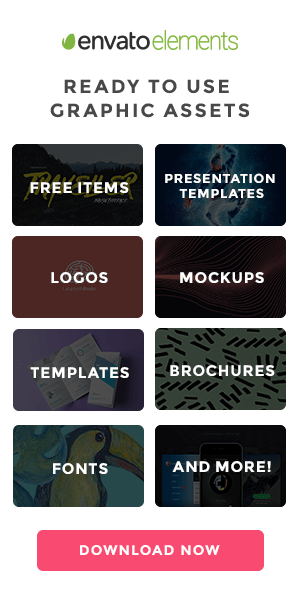 We hope you liked this collection and found some great font for your UI design or website. Do you know of any more such fonts and feel that it deserves a mention in our list; feel free to comment the name down below. Happy Designing!